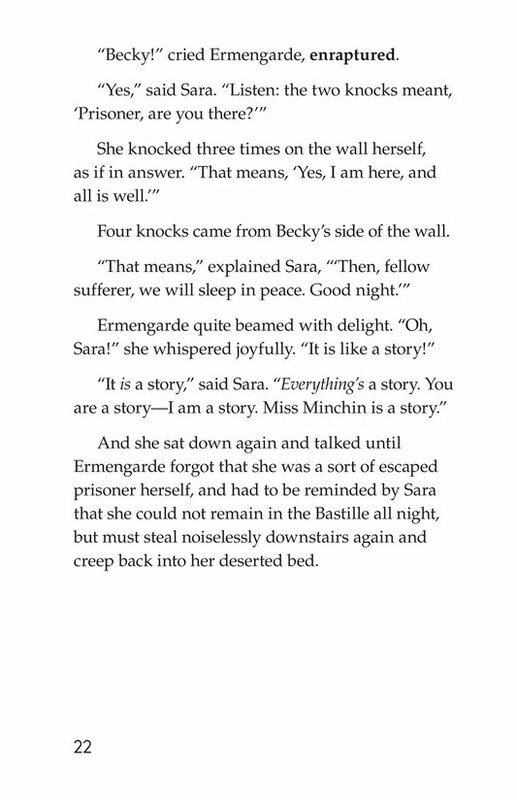 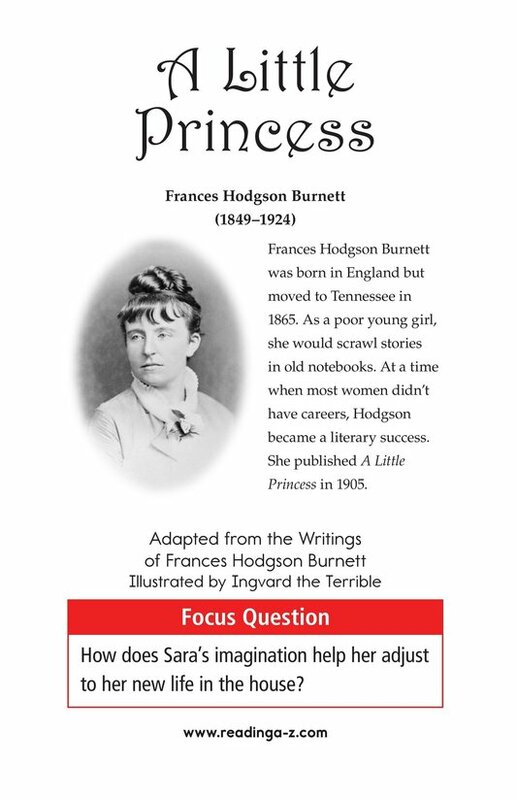 Sara copes with the hardships of her new life by inventing fanciful stories and sharing them with her steadfast companions, Becky and Ermengarde. 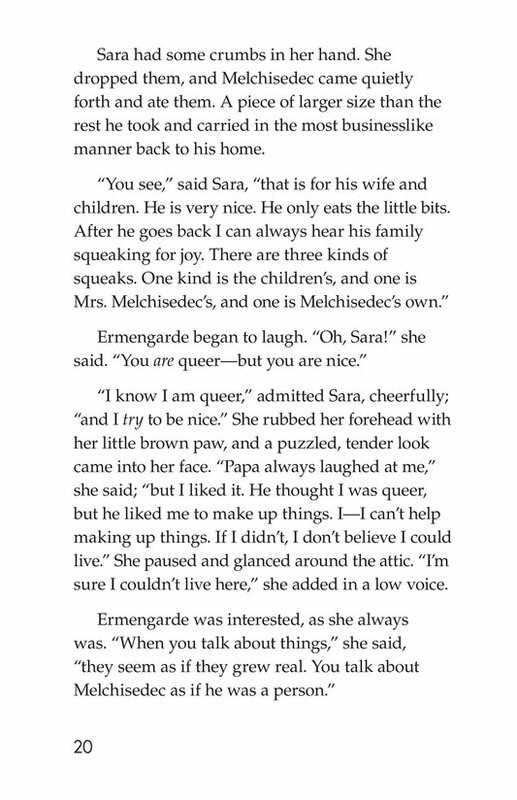 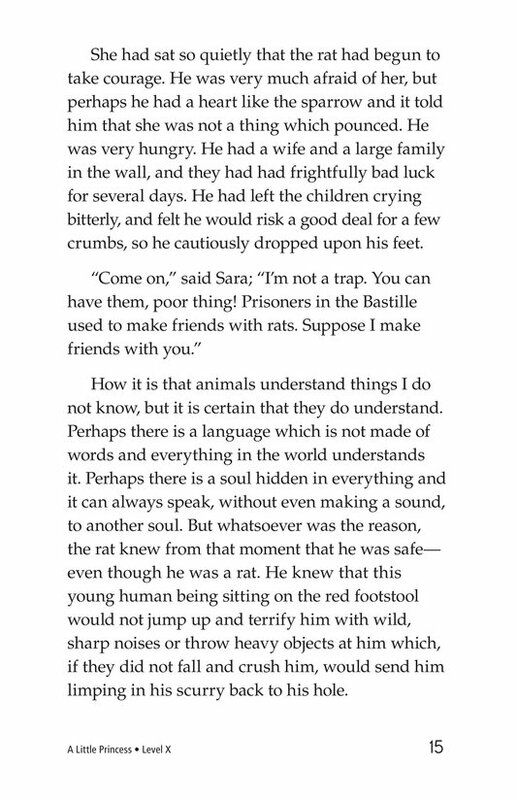 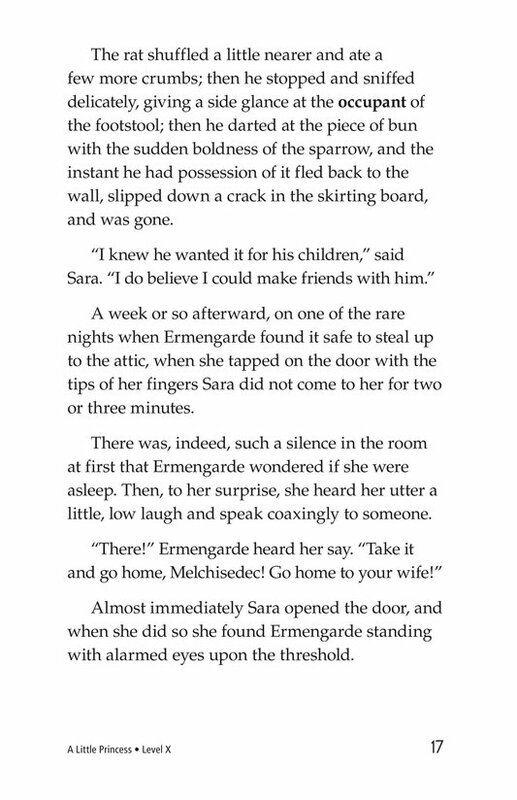 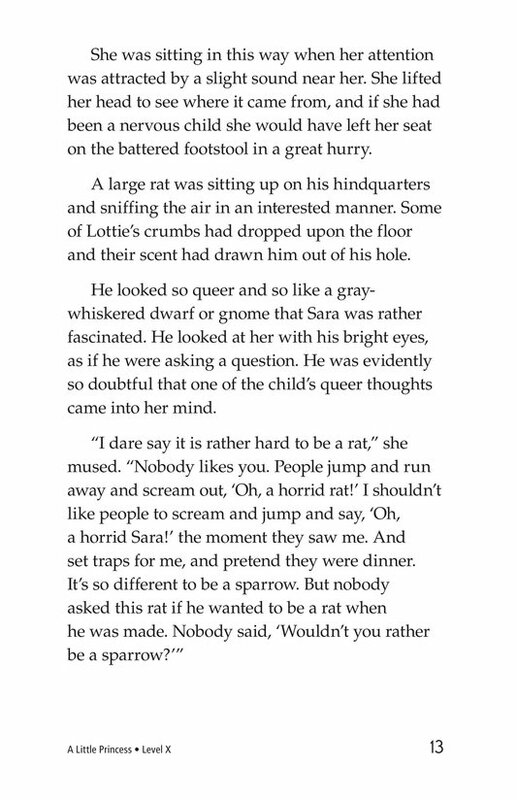 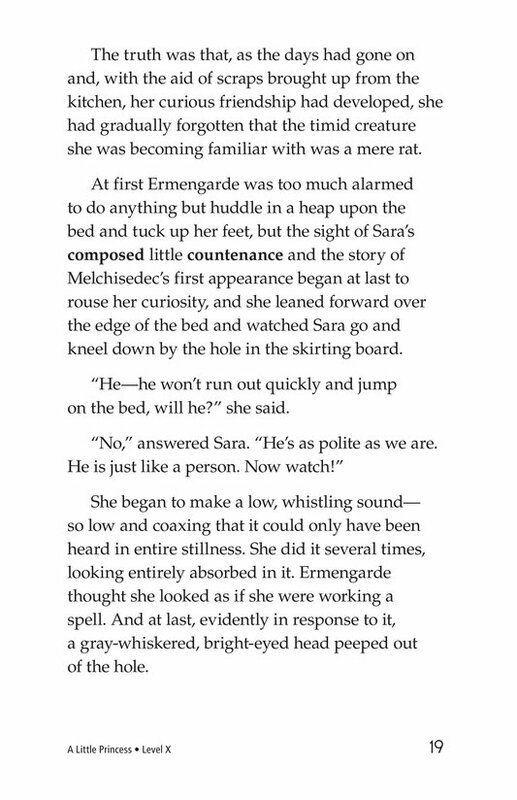 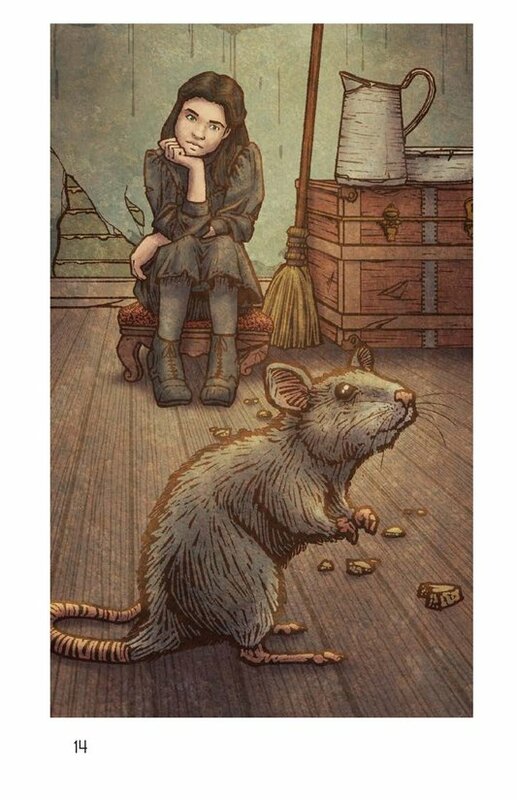 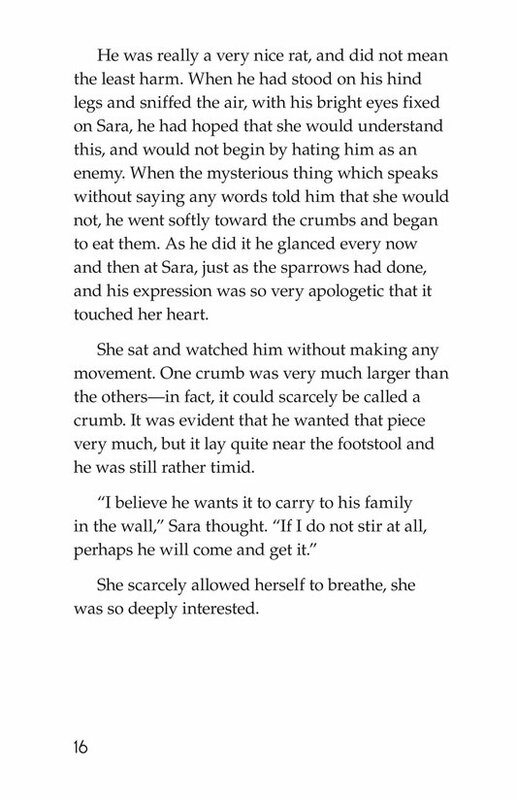 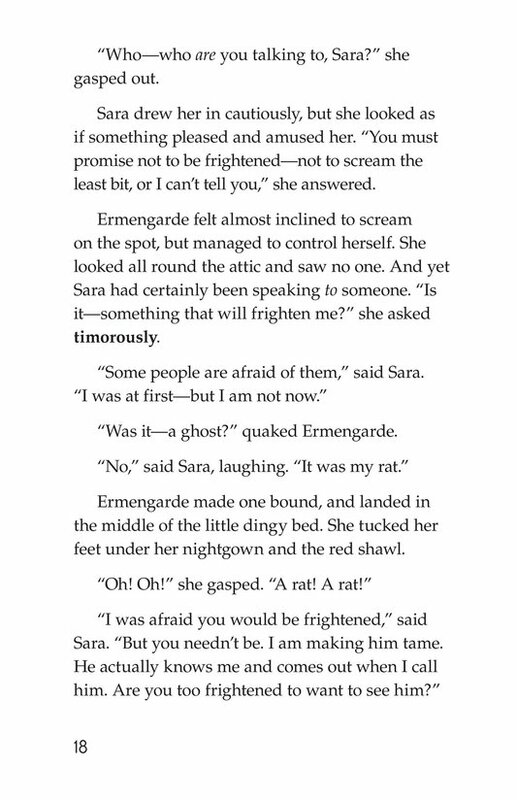 Sara befriends the sparrows that land on the roof outside her attic window and inside her room befriends an attic rat, whom she names Melchisedec. 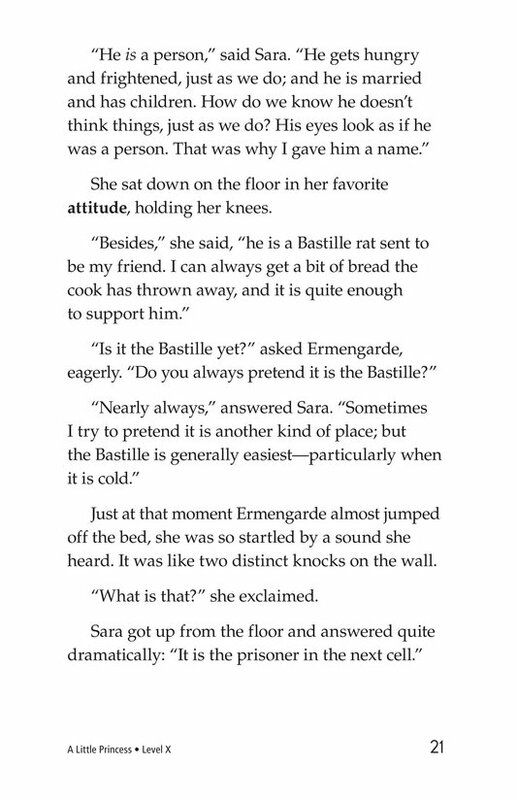 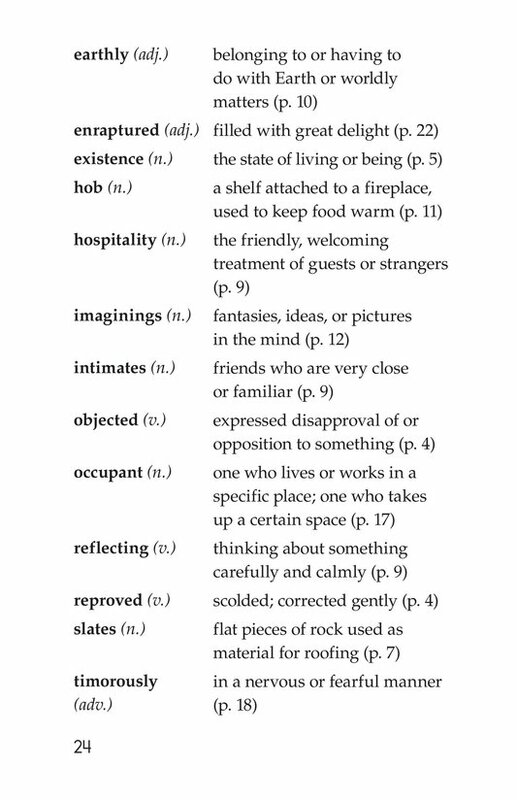 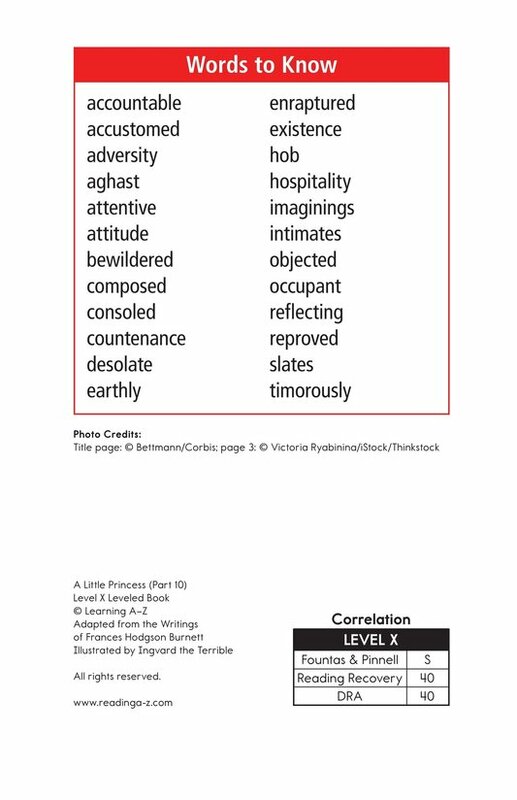 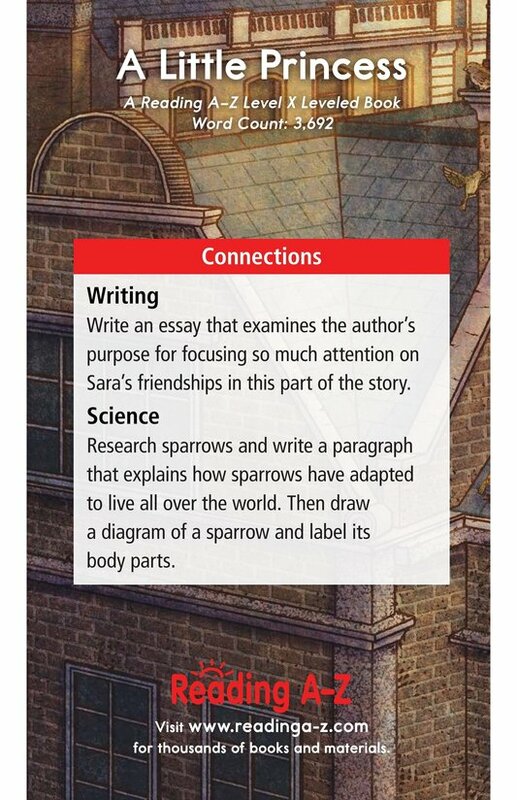 Becky and Sara think of themselves as prisoners in the Bastille and invent a secret way to communicate with each other. 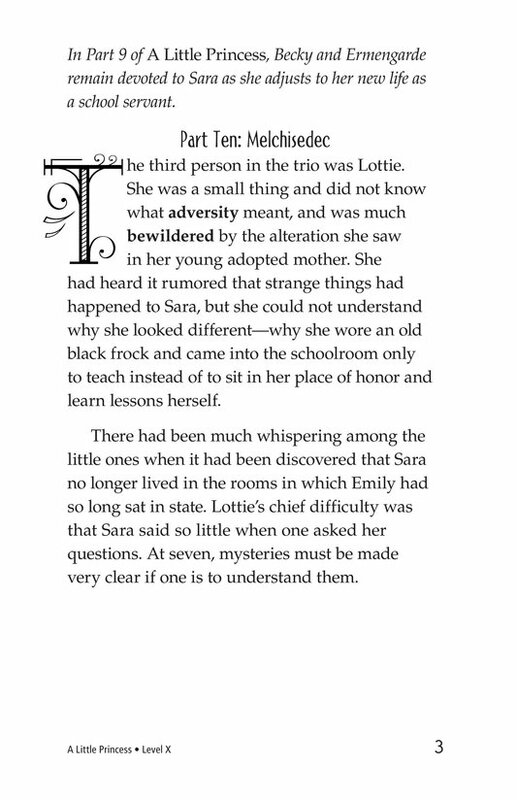 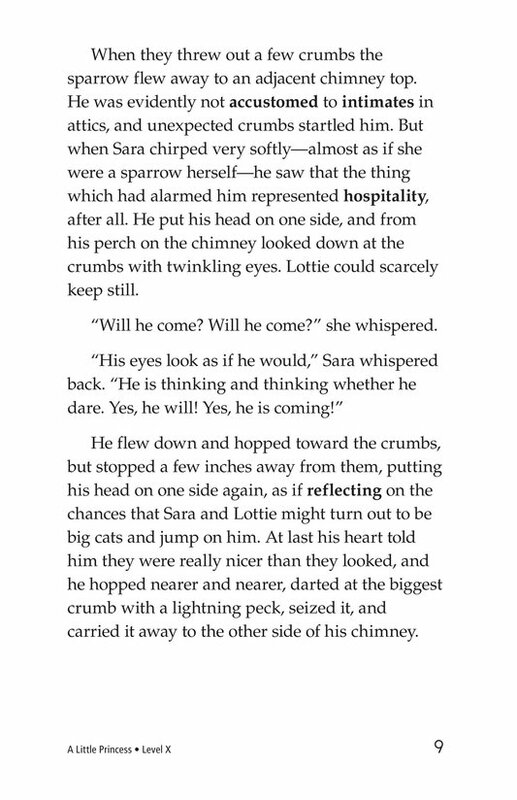 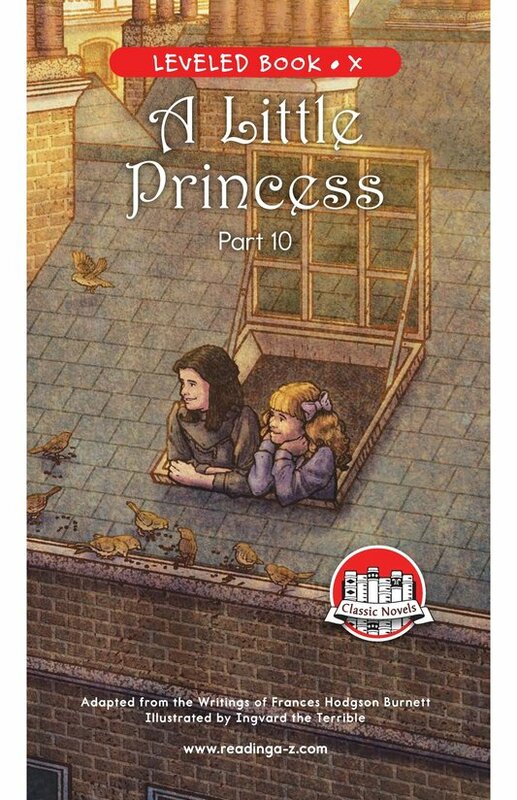 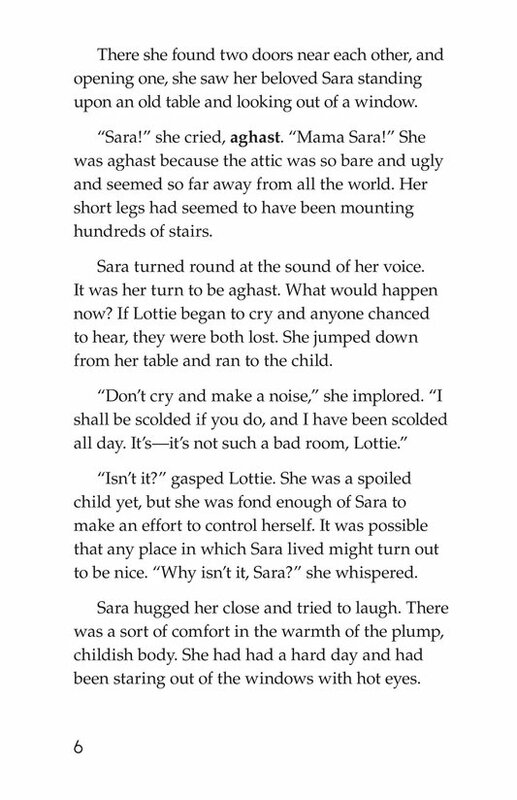 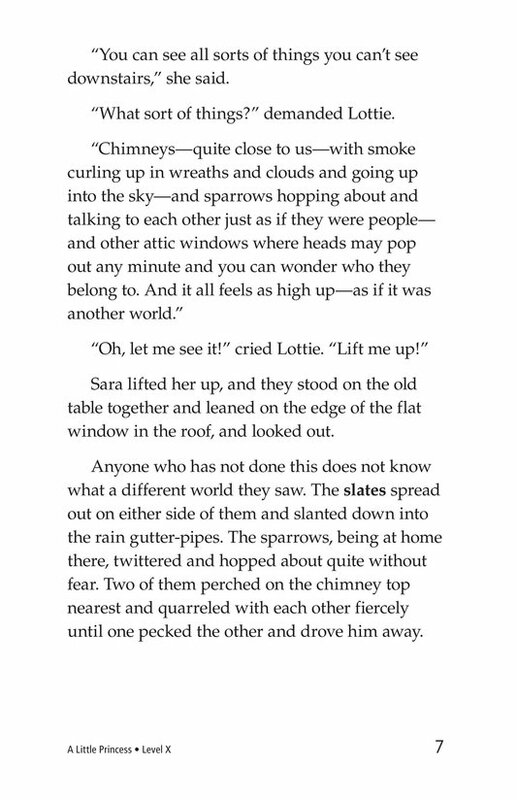 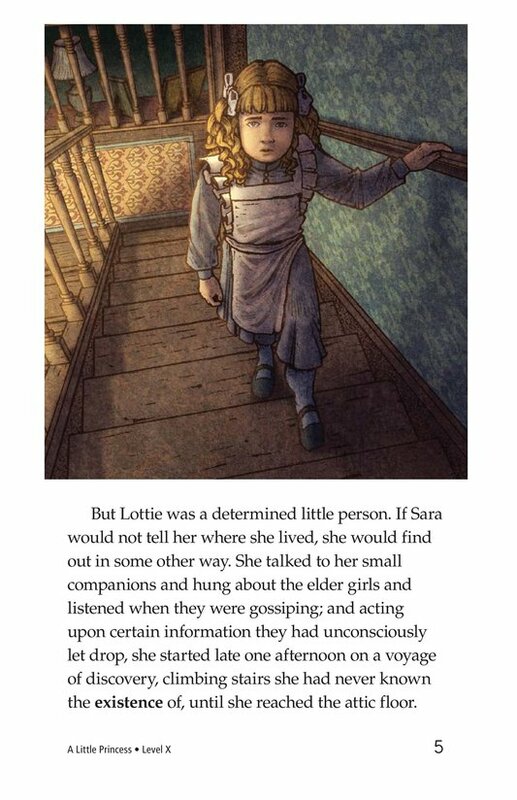 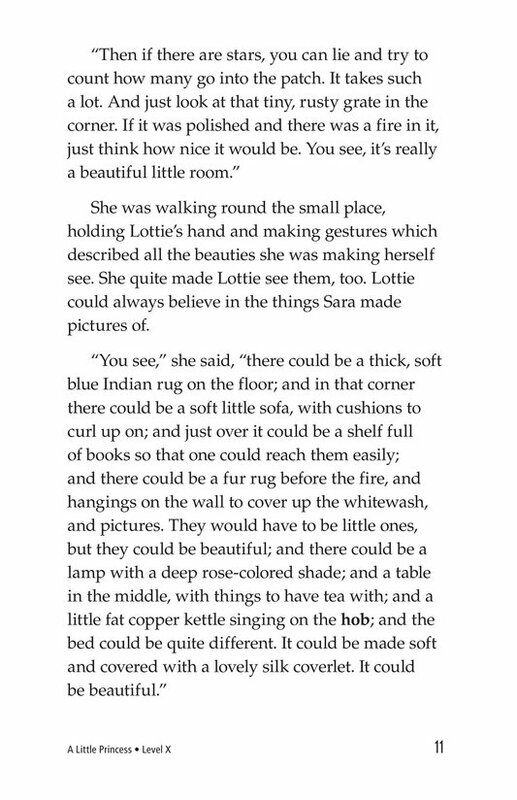 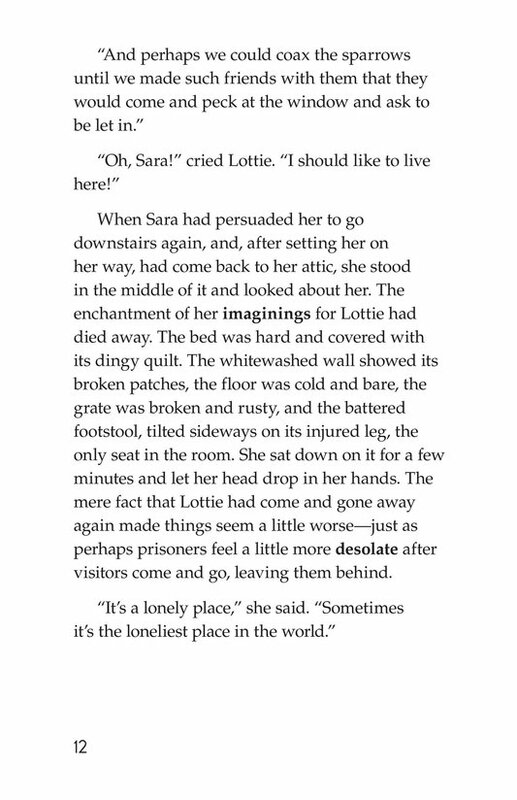 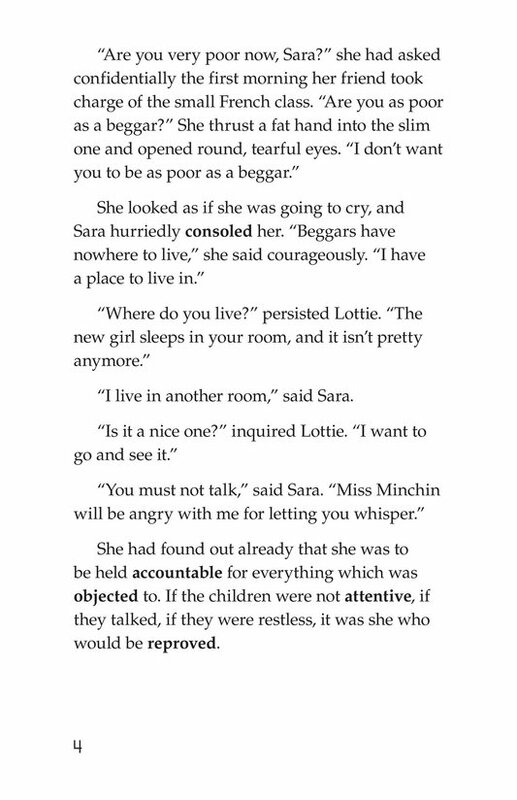 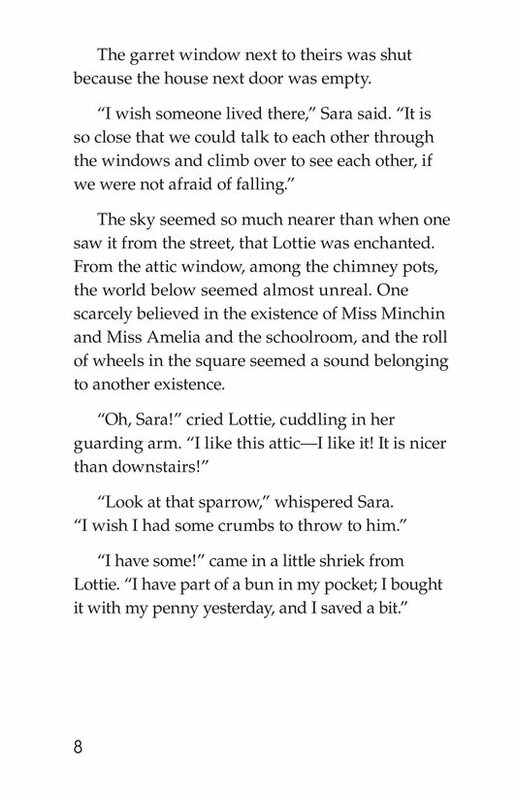 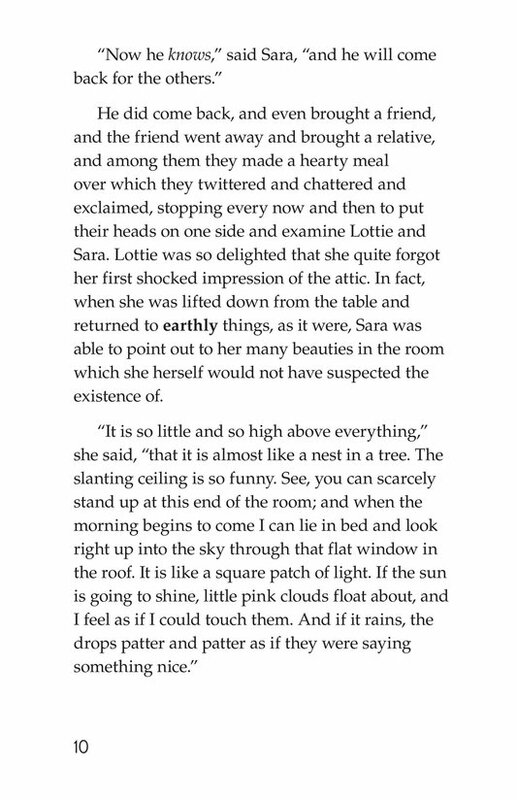 When Lottie ventures up to Sara's attic room for the first time, Sara's tales are so exciting and fanciful, Lottie is also able to see the attic through the lens of Sara's vivid imagination.